The Feast of the Immaculate Conception celebrates the Immaculate Conception, celebrated on December 8, nine months before the feast of the Nativity of Mary, which is celebrated on September 8. 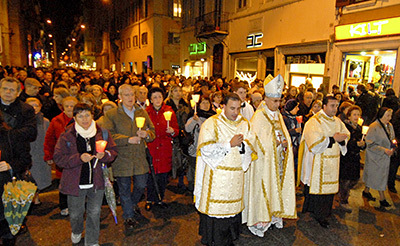 It is one of the most important Marian feasts celebrated in the liturgical calendar and is generally considered a Family day. The Church first celebrated this day as early as the 5th century in Syria.